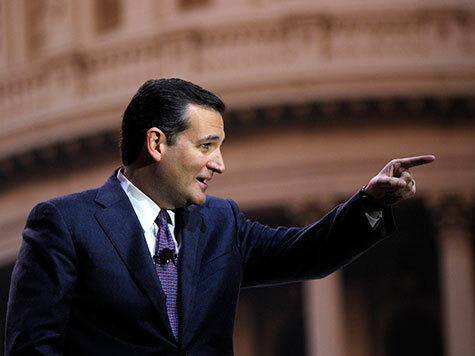 For the second year in a row, Sen. Ted Cruz (R-TX) won the Values Voter Summit presidential straw poll. After electrifying the audience on Friday by urging them to never abandon conservative values to see another morning in America, Cruz, the potential 2016 presidential contender, received 25% of the vote while Dr. Ben Carson was second with 20%. Former Arkansas Gov. Mike Huckabee was third with 12% of the vote. In the vice presidential straw poll, Carson was first with 22% of the vote. Cruz was second with 14%. And Louisiana Gov. Bobby Jindal, who may run as the ideas candidate to possibly get on the ticket a la John Edwards in the 2004 Democratic presidential primary, was third with 11%. As The Hill noted, Sen. Rand Paul (R-KY), the libertarian-leaning candidate potential presidential candidate, was “the notable absence from the winners’ list.” Paul received a lukewarm reception on Friday. Conservatives may well view Cruz, who has also appealed to social conservatives in Iowa, as that candidate. During his Friday speech, Cruz said Republicans can only win national elections if they paint in “bold colors” instead of “pale pastels” and offer voters a “choice” instead of an “echo.” Levin agreed on Saturday, saying only a Reaganesque conservative can win in 2016.